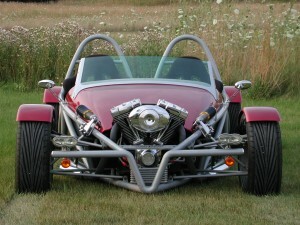 I am a retired automotive engineer with a degree from the University of Michigan. 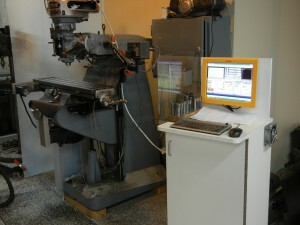 While my engineering jobs were lucrative, I always had a had a shop so I could get my hands dirty. I was never able to fully express my creative side in my engineering positions (except for the six patents), but working in my shop has resulted in many projects that I am extremely proud of. 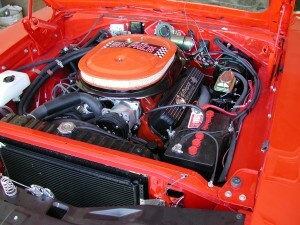 For 15 years I mainly did automotive restorations. At first only my own cars and then later I did body restorations for friends and family. 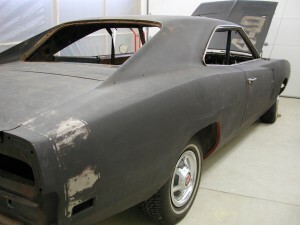 The best restoration was a 1969 Daytona Charger 440 Six-Pack. 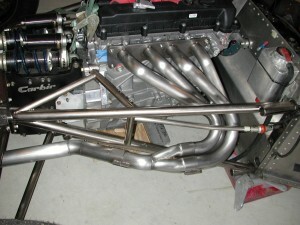 This was a rotisserie, nut and bolt project that took me 12 months working full time. The car had been sitting in the desert in Arizona for years, but had been beat-up by kids playing in and on it. 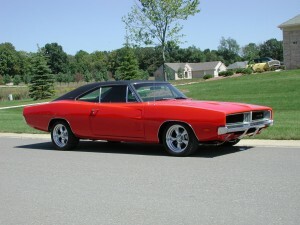 Awesome power and updated brakes and suspension made this a better car than when it came from the factory. 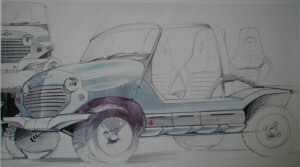 A position at the Ford Motor Company Design Center designing and building concept cars pushed me to try a ground up project of my own creation. 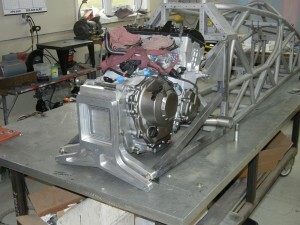 After a year of design and fabrication I had a running chassis powered by a 1325cc Suzuki motorcycle engine. It was mounted mid-ship and used chain drive to a differential. A trip the drag strip resulted in a 12.8 second quarter mile at 112 mph. That got a lot of attention (this was 1987 by the way). I was able to get some help from a couple of young body designers and the final result is the Sportech below. 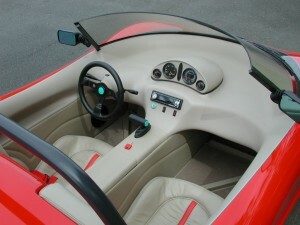 The Sportech was road tested by Car and Driver Magazine in December of 1989. 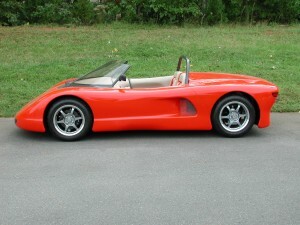 It was the first street legal car to reach 1.0g on DOT tires. It was faster 0 to 100mph than the Lingerfelter Corvette in the same issue. Fourteen more magazines followed including Road and Track, Popular Science, Kit Car, Show Time (an AutoRama publication), Sports Car International (6 pages), a French magazine on American cars and a couple of books and two calenders. Unfortunately, the Sportech lead to my leaving Ford. It had embarrassed my manager that I had built this car in my garage for an investment of $15,000 while the department I was working in couldn’t build a car that would drive around the block for a million bucks! Shortly after the Sportect’s completion I left for a management position at a supplier company were I was appreciated ($$$) and it was there that I was awarded most of my patents. 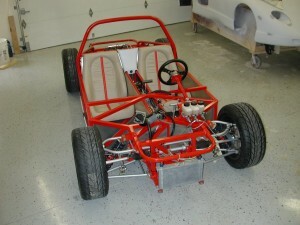 Another great project was the Fun Car. 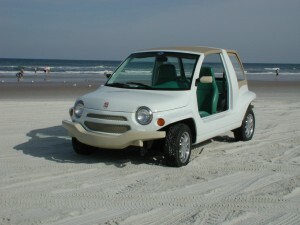 It was pretty simple compared to the Sportech but no less fun to drive. 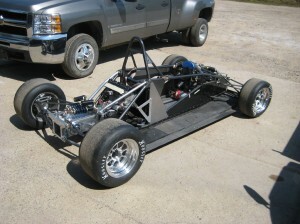 Based on a Chevy Metro (Suzuki Swift) chassis, this was a composite body bonded to the Chevy chassis. 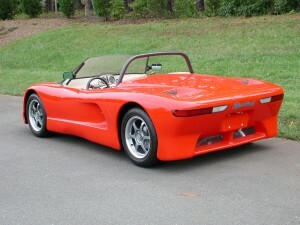 The concept was originally build for a composites company supplying GM. I pitched the idea to my boss and used one of the designers of the Sportech to do the art work. The modeling was done at a local show car builder (my son Mike worked on the clay model). 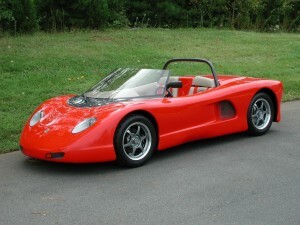 We used it for a show car at composite shows and it won an award for the concept of a structural composite bodied car (even though the show car had a steel chassis). Later, I was allowed to take a splash from the molds and then had the design completely reworked to what you see in the last photo. 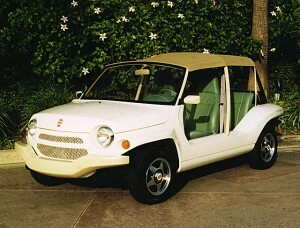 If you remember the Austin Mini Moke you know where the inspiration came from! Jay Novak guided the suspension design of the Sportech but we finally worked together as partners on the TwinTech project. This was a full solid model engineering design using all of Jays race car suspension knowledge that was civilized for the street. Long oval tube control arms, rocker arm actuated shocks and lots of billet aluminum parts made for a phenomenal handling car (1.1g on street tires) and still able to handle the pot holed road of Michigan. 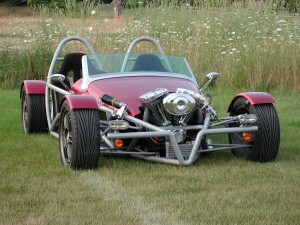 Oh, and by the way it was powered by a nasty 120 cu in/120HP Harley motor. A transaxle resulted in perfect 50/50 weight distribution. We almost had a deal put together to build 100 copies but the failing economy of 2007 was to much to overcome. There is only one and nothing else out there compares to it. 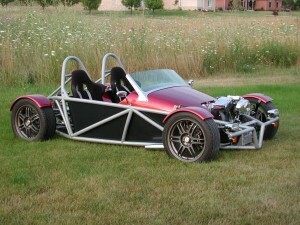 Piontek Engineering Inc. is a one man shop that does just about anything except composite body work. There are many people who can do composites better and I’ll leave that part of car building to them. Most of my work is in conjunction with Jay Novak of NovaRaceLLC. 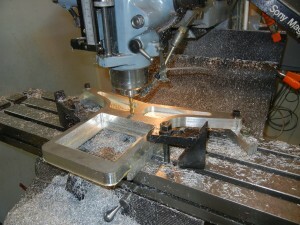 He does most of the design and I do all of the machining and fabrication. We have been working together for almost 30 years. 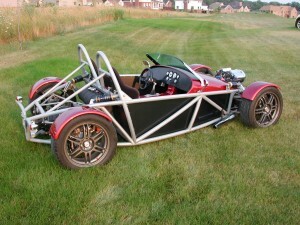 Jay has been involved in SCCA (Sports Car Club of America) racing for better than 45 years racing cars that he has highly modified or completely designed and built from the ground up. 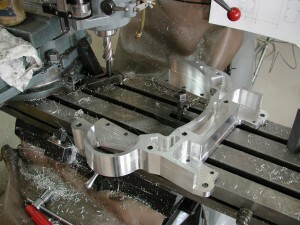 Generally we do the prototype parts and then farm production out to suppliers who have large equipment and can often produce a finished part (as long as the quantities are large enough) for what I pay for material only. 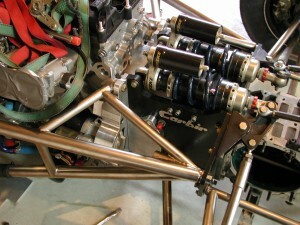 The last 6 years we have been working just about full time on SCCA race car projects. 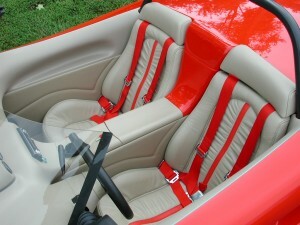 We have built complete cars and provided conversion kits to customers for more than 30 cars. These cars have won 4 national championships and countless regional and national races. Most of them have been motorcycle engine powered with a couple of custom race engines or modified production car engines thrown in. They have all been formula cars or sports racers, no door slamers. This entry was posted in Uncategorized on January 3, 2013 by admin.